Former presid­ent return­s to Pakist­an after four years in self-impose­d exile. KARACHI: Vowing to save Pakistan, former president Pervez Musharraf on Sunday said he will make Pakistan a country its citizens will be proud of. Musharraf arrived in Karachi from Dubai after four years in self-imposed exile. A huge crowd of supporters and All Pakistan Muslim League (APML) members welcomed him outside the Karachi airport. He thanked all his supporters and asked them to help him make Pakistan a better place. Musharraf intended to hold a rally at Mazar-e-Quaid, however, the No Objection Certificate (NOC) issued to his party was cancelled, citing security threats. He criticised his opponents for sabotaging his gathering. Expressing grief over the current state of affairs in Pakistan, the former president said he has come back despite threats and predictions against his return. “I’m here to save Pakistan, I’m not scared of anyone but Allah,” he asserted. Earlier, while speaking to Express News anchor Shahzaib Khanzada, Musharraf said he has come back to change things for the better. Lamenting the deteriorating law and order situation in Karachi, Musharraf said he will bring the city back to life. “We have to make Karachi a place of peace; we should end our petty fights,” he said. 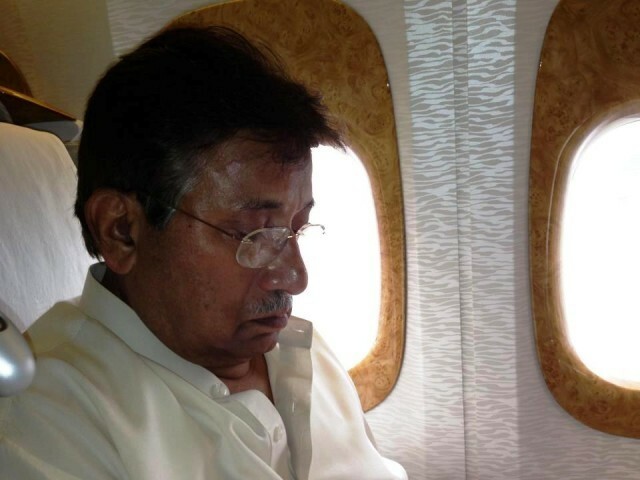 Musharraf will stay in Karachi for two days, constituting central and provincial committees for his party and then leave for Islamabad to plan out his election campaign. He will be residing in Avari Towers, Karachi, during his stay in the city. 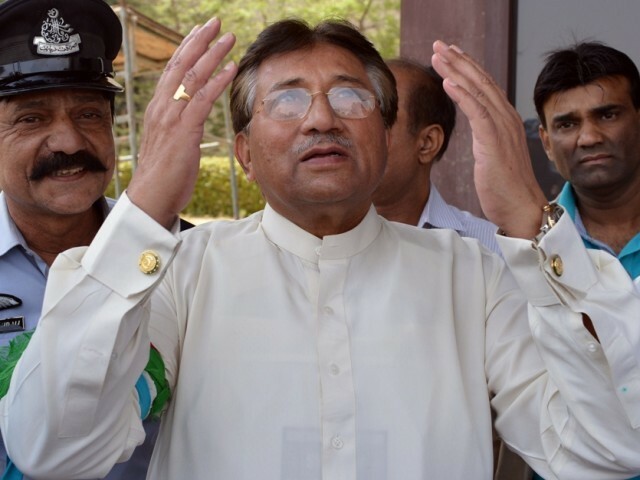 Will Musharraf's return have a significant impact on the upcoming elections? Former military ruler vows to return on March 24, come what may. Sources say PML-N agreed to remain neutral following meetings with Saudi royals. One time great President of Pakistan is coming back home after four years. The nation is awaiting to offer him the grand grand welcome at Karachi Airport. The nation still remember his last words of his last speech when he was the President (Pakistan ka Allah hi Hafiz hai). During the five year tenure of PPP Government, people have seen how Pakistan went backward in all sphere of lives. You era may not have been perfect, but i was thousand times better than the Zardari govt. Zardari has ruled over us for 5 years in the name of democracy, so ineptly and so shamelessly – I will take your dictatorship – any day over this nonsense!! I think we should stop talking about the benazir murder case now.. The govt that was her own party, the most powerful man of the country, her own husband and 5 years later we still have no answers about her murder, so how can you arrest Musharraf for not proving security.. Stop using the poor woman’s name in their dirty politics. Let her rest in peace!! He was an arrogant dictator who is indirectly responsible for 40,000 dead Pakistanis. Yah right…may get arrested on charges for not providing security to bb….I can bet my life away that PPP will dare not bring this topic up…he was the COAS…. he knows who did what….i think it’s all part of the deal..don’t interrogate and I won’t tell your secret…. The best leader Pakistan ever had! If Musharraf and Imran join together, they can turn Pakistan into a real Asian Tiger! Welcome..Welcome..Welcome.. we pray for your and everyone’s safety and support you in all thick n thin.. we pray for your success in getting the Pakistan out of so many current crisis. Welcome back to your homeland..
Musharraf the Man is back ! Allah help him and help this country through his GREAT vision of PAkistan. “Meray janay kay baad loog mujhay yad karaingay”…….Sir I still remember you words from your last speech….. Educated people of Pakistan support sir musharraf. Don’t get fooled that Musharraf has returned to do pilitics.He is too clever and knows how much politics is left for him.He has returned to claim his wealth,land and property.To do that he will pretend that he is in politics by issuing press statements and appearing in dozens of talkshows like Rashid.But Pakistan first is a facade for property first! Agree with most of the comments above… Even though a dictator, his era was a million times better than the so called democracy we saw after his rule (Zardari lootmar era) or the era preceding his dictatorship (BB & Nawaz democracies)… The country was on the verge of bankruptcy when he toppled Nawaz and today its bankrupt. His only crime to me is that he enabled bringing back looters to exploit the people of Pakistan once again. Welcom back. Where is Aitezaz Ahsan who once said Musharaf will never put his feet on Paksitan land ever..
A brave and pragmatic leader who worked selflessly for Pakistan. Welcom back. Welcome back Mr. President. You remind us of the good days and the always rising progress of Pakistan. It all turned upside down in the last 5 ‘democratic’ years. Hope to see you succeed. Please remember to come to lal masjid. Pakistan is in a mess due to him ..and now every is celebrating..what an irony.. Welcome Back sir!!!! We hope you can turn Pakistan around, and remove its problems esp. loadshedding and terrorism!!!!! Looking forward to your rallies. Although I live in Bahrain, still I wish you the best of luck for Pakistan!!!! Pakistan Paindabad!!!!! @ Adeel Qadri … really!!! … it means that the current so-called democratic government has done wonders for Pakistan and whatever the mess is, due to Musharaf…!!!! .. we are in a mess today because ppl like you voted for party like PPP … now celebrate your success brother, you can not blame others for your own wrong doing, that is what PPP and PML (N) did the entire tenure of their 5 years SUCCESSFUL government .. Emotional moments for people of Pakistan who have suffered most duing last five yers from corrupt governments PPP and PMLN. Im puzzled! Who to vote for, PTI or Musharraf? With no bias towards either party, by all economic, social and international indicators, Pakistan was doing exponentially better before the PPP. By any unit of measure. Stronger currency, lesser load-shedding, less street crime, exploding telecom and media industries and overall optimism. Whatever he was doing, it was working. It may not have been a sound strategy for the distant future, but I’ll take a few years of relative calm and prosperity over 70 years of disappointment, heartbreak and death every day of every week of every month. Musharraf is a WAR CRIMINAL and should be tried for his henious sell out of Pakistanis all over the world. He is responsible for the killing of Bugti that led to the increase of Rebellious groups in Balochistan and as a result hundreds of thousands of people have to migrate from Balochistan in consecutive years to save their lifes and also Army Operation had displaced thousands of Balochs and killed hundreds as well. He must be tried for a treason. Only People in Karachi are welcoming him and I am sure no one will come out for him if he will land in Punjab, KPK and in Balochistan. I am watching live coverage of President P. Musharaf arrival at Karachi airport on TV, a true son of Pakistan. To any son/daughter of Pakistan viewing such scenes is very emotional indeed. I as a humble Pakistani forced to leave my motherland in search of life and after achieving the highest goals, aspirations and success beyond dreams, finds that for the safety of life had no choice but to settle abroad is the most painful and soul crushing occurrence. A phenomenon can only be experienced by true lovers of motherland. Watching the scene of history being made, people like me can only cry and wipe their tears, tears of happiness that may be thousands of miles away, against all odds my country still exits. A country and its poor people in full grip of traitors and blood suckers, P. Musharaf saved Pakistan at times the country was on its knees. He shovelled the country and harvested a self respect, progress and self respect for the people of Pakistan, from absolute mess and left in a very healthy state. Look at now, every one has one motto, loot, loot and loot. The so called independent judiciary is merely independent to distribute the bounty in between. The pains suffered from the barrage of insults thrown on Pakistan’s settled abroad through honourable Dr T. Qadry can’t be expressed in words. I wonder Pakistani soil can ever give birth to an honest and patriotic man. I can’t write any more, except to say God save Pakista; Pakistan PAINDABAD. I know you were chief of army staff once and old habits don’t go so easily but I don’t like how everyone else is either standing or sitting on the ground and you’re resting comfortably on a sofa! Sudhar jaiyay Musharraf sahab agar iqtedaar main ana hai. Musharraf and Imran Khan should join forces. The pics reminds me of Benazir Bhutto!!! Hope he doesn’t meet the same fate. Welcome home Gen Musharraf. You have always been sincere to Pakistan. Your love for this nation is evident. Your supporters are sincere. Hope to see you build this nation again. When BB came more than 1.5 million came out on the streets. Perhaps he should book his flight back to Dubai while he’s at the airport. 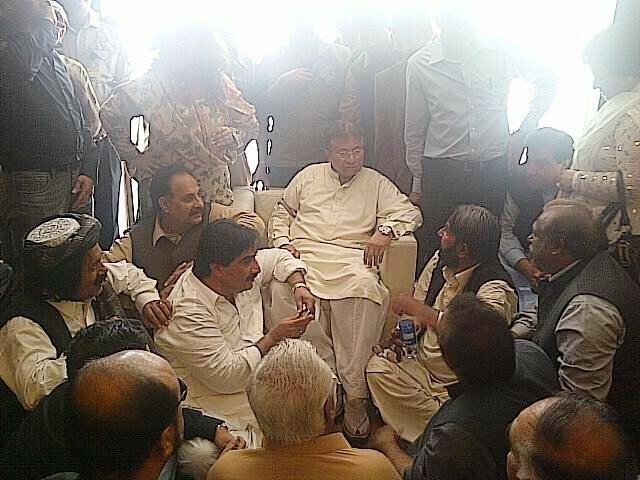 Mushraf is not at all involved in Benezair murder. Her real murders are those who benefitted from her death, Zardari beeing the top most beneficiary, followed by Rehman malik who despite being the chief secruity officer of Benezar was the first to fled from the scene after the attack. The havoc and disaster brought by PPP government during its five year tenure proved it beyond an iota of doubt that mushraf era was far beter than this darkest period of pakistan history. May God save this nation from repitition of this dark period. Anything goes. Never a dull moment in the land of the pure. There is money to be made on whatever side you are. At least Mush had some sort of an education. Curious who will be the next wolf in sheep’s clothes? Welcome back sir, you are the man of the word and need of the time in this dark and dismal era once again welcome back and best of luck we all with you Pakistan Paindabad. The X factor at work again using Musharraf to keep the status quo……….another few years of stumbling along………..is this what we want ? Welcome home sir, I wish you will be able to make place in Pakistan’s politics like our former Bangladeshi military ruler H.M. Ershad. Its interesting that how we will dance and celebrate when someone leaves, cruse them and then few years down the track welcome same people again. Are we confused or we just forget past experiences or just because every time it’s such a bad experience with rulers that we begin to think that previous one was better. @Toba Alu, keep this stitching and cutting job at home seems to be tailor and never compare Mr. Musharaf with the rest of politicians (thief, plunders) he is loyal and selfless person and he served Pakistan as a solder and he will serve our beloved country Pakistan as a loyal politician (not like zardari and nawaz whose wealth is growing multiple in all countries except Pakistan). I hope altaf bhai follow his foot steps ! Musharraf should be arrested for passing the NRO ordinance in order to appease PPP and save his own skin. Its a crime against this country and led to it enduring one of the worst governments ever with Gilani and Raja as dummy PMs and Zardari running the show as President. Welcome back. The media shouldn’t have named the hotel where he’s staying – it creates an unnecessary security risk. you r one of those jiyalas who are still living in fools paradise….compare the 2 period…only then c which period was better ? or go into the street n ask from the poor people – which period was better..r they better today or 13 yrs back…u will get answer…then ponder…. There is nothing wrong with democracy…..but governance & performance…which has made people hate democracy, bcz those elected people used ” democracy ” to loot n plunder…. as a liberal citizen of this country, and many more like me will not stop you from coming back as we are different then you. We will also not stop you from doing anything including politics, but we hope that you will stand by your words and will follow the law, which unfortunately you never followed. And lets see what the law does to you. You must be held accountable for de-ralining democracy (whatever form it was and no matter we never supported pmln), but you dragged this beautiful country of ours into a terrible quagmire that she is unable to come out of it quickly and she is bleeding to date. Kayani’s real boss returns as planned. @Tanzeel, he did not elect PPP gov. it was ppl of pakistan who voted PPP and PMLN which in turn elected Zardari as our president. So pakistan is in mess not because of Musharraf. Dont make him scapegoat for all the wrongdoings happening country. lets vote sensibly and then hope for the improvement. I am amazed to see so many Pakistanis on this comment page warmly welcoming a former Military dictator, who was forced to resign from his Presidentship by a popular wave. It really worries me about the prospects of democracy in future Pakistan. Where have you seen big croud? The only thing rest of the world know is Zardari and Nawaz are not the solution for Pakistan. They have shown their ineptness beyond any shadow of doubt. If Pakistanis are ever going to prove they want to be a democracy and join the comity of nations, it will be by getting rid of Zardari and Nawas Zamindars. A “Huge” crowd of supporters?? Please ET learn to count, there were all of a 100 people there!! There you go TTP. You know where he lives. My respect for Pervez Musharraf is not less than any other great leader of the world for what he did for for Pakistan in general and my city Karachi (ignored by all) in particular. He definitely saved Pakistan against the rage of a wounded tiger in 2001. What happened to Pakistan post 2001 is known to all. What would have happened to Pakistan in case of a refusal to the request/order would never be known but can be safely and accurately guessed. There are examples around us. That he allegedly danced with a glass of wine on his head bothers me the least. That is between him and his Savior. I pray for his safety as much as I do for Imran Khan. He is an honest, patriotic Pakistani and a great defender of the honor of his country Pakistan. May Allah protect him on his journey back to the country he loves and fought for. If he is assassinated, God forbid, it would be the death of a very brave man not a fugitive. What good he did for Pakistan is obvious to many. What bad he is alleged to have done is before the court. Let the judges decide cases against him in the court and let people decide decide his acceptability in the election. Are we brave enough to accord him this? You are a hopelessly deluded fellow ! Sadly this shows the level of desperation that we have reached that we believe that our problems will be solved in six months. Welcome back to the mess you got us into. Take him to the task now. my mood = the guy in the back drop on the right ! I am so overjoyed at last we have a real leader. We have waited and prayed for five long years. It has been a belief terrible five years. We have suffered. Pakistan lies prostrate at the hands of corrupt politicians. General Musharraf, we beg you to rule with a iron hand. Show no mercy to the politicians. Show no mercy to the Taliban. General Musharraf you command and we shall obey. Should we consider it a paradox. The man whose first appearance in an American magazine holding his pet dog as the new dictator of Pakistan has now returned to ‘save’ Pakistan. At least the Americans felt they had to ‘bomb’ Pakistan to stone-age. With Saudi patronage Pakistan would automatically get in to the ‘stone age’. I find it difficult to believe that Musharraf feels he needs to ‘save’ Pakistan and not the people of Pakistan. Still carrying a military-mindset despite being out of uniform. Should be tried for treason and giving us gift of Zaradari/Nawaz through NRO bcuz he wanted to prolong his stay and continue in power!! No second chance.. Change never happens if you go back to old faces especially! If you dont want Zaradi/Nawaz then be consistent and dont look at Musharaf for change..
A good welcoming crowd from all ethnic communities! A shame that he was not allowed to have public meeting at Qaids Mazar. Look very carefully at the picture, he wearing a bullet proof vest. If he thinks he is popular why he is wearing this vest. Welcome back. Great Leader. I hope PTI makes alliance with him. One more cook has arrived to stir the election pot and save the country. In Pakistan everyone hankering for Power wants to save the country. However let us give a thought as to who is going to save the country from them. For the last two years we read a lot of stories as to how arrest warrants were issued by Courts against Musharaf in the Benazir Bhutto case. Now all Courts have decided to give him bail. Are the Pakistani Courts functioning on Saudi command ? But He was back stabber and cheated his way in to power .. PPP or PML are not what we want but they are elected by the nation and can not rule us by their own choice or by force .. this country is not owned by a General who can over night disrespect the constitution they take oath to respect. Just one man took us to the brink of war in 1999 putting lives of over 1.5 billion people at risk. I used to be his supporter even when he left but not any more after understanding that we always want quick fixes which always has backfired. We have to build institutions not personalities .. last five years were sure a mess but its a long ride if we keep going on this road we will learn how to drive smoothly and people will stop voting these same people .. I’m sure had Musharraf not overthrown NS’s govt we would have long got bored of PPP & PML(N). I’m sure we would have tested IK’s govt too by now and if found not any better would have got new leaders or have forced PML & PPP to change their leadership. Having said that We must not forget he did a few good things too but he still should be tried for treason charges for over throwing an elected government backed by millions of Pakistanis, regardless of who’s govt that was. Where, if I may ask, did you get this 40K number? Would you mind sharing with us the source? @Aaliya: Hmm Benazir assassination case is but something else, just welcome the great ex- president don’t go deep inside. I presume you are speaking for yourself when you say’ Crap bunch ‘. Your statement is a clear proof of your limitation. Agreed, this is really a foolish nation, they forget everything after 5 years and that is y our politicians practice this temporary exile. They are happy for they could bur Air conditioners, deep freezers, care, etc during his time. SAdly, but this is the NAZRIA of our educated sector. Millions vs thousands. What difference does it make. It is not how you start but where you end up. Oh, by the way, who was the head of the Government at that time when 1.5M people felt safe in the streets of Karachi to welcome back BB? Need I say more. If “Lal Masjid” had not happened, Musrraf would have support like Imran khan. welcome sir all Pakistani’s are with you. I watched live coverage of President P. Musharaf arrival at Karachi airport on TV, a true son of Pakistan. To any son/daughter of Pakistan viewing such scenes is very emotional indeed. I as a humble Pakistani at a very young age was forced to leave my motherland in search of life and after achieving the highest goals, aspirations and success beyond dreams, finds that for the sake of life and the support needed by my family had no choice but to settle abroad is the most painful and soul crushing occurrence. A phenomenon can only be experienced by true lovers of motherland. To on lookers it may appears that Pakistan’s settled abroad sitting in front of TV screens are enjoying the scenes of history being made; the returns of P. Musharaf to Pakistan, but truth is anything but. People like me can only cry and wipe their tears, tears of happiness that we may be thousands of miles away and against all odds my country still exits and a living messiah who shares my pains for Pakistan – President P. Musharaf has gone there to save it from utter destruction. Almighty keep him safe and rewards him with long and peaceful life. During his tenure he tried to give self respect and integrity to poor and neglected masses. The people in clutches of traitors and blood suckers. P. Musharaf saved Pakistan at a time the country was on its knees, he shovelled the country and harvested the progress and reverence for the people of Pakistan, drowned in thick darkness and state of hopelessness and left the country in a very healthy state. Unfortunately the country is even worse state. Look at now, every one has one motto, loot, loot and loot. The so called independent judiciary is merely independent to distribute the bounty in between. The pains suffered from the barrage of insults thrown on Pakistan’s settled abroad through honourable Dr T. Qadry can’t be expressed in words. Today is a very touching day for people of Pakistan, the poor, weak, helpless and innocent victims of corrupt to the bone and conspired democratic dictatorship of Nawaz Sharief and Zardari and Fazlur-Rahman (mullah diesel) who have been crushed by the traitors of the motherland over the last 5 years. It is an obligation of every loving Pakistani to welcome back the son of Pakistan. Surrounded by threats of all kinds from judiciary to Al-qiada, he came back to save Pakistan, not for himself. One time great Pakistani is back home after crying for more than four years, the cries for love of the soil of its country. I am sure the nation has given him the grand welcome at Karachi Airport, a welcome based on purity and free from any greed, but for the sake of Pakistan. The nation still remember his last words of his last speech when he was the President (Pakistan ka Allah hi Hafiz hai). You people who are lavishing so much praise on this man should understand that your rights were usurped by an active General who came in with the barrel of gun. The problem with you Pakistanis is that you have no respect for your own constitution. If I recall correctly, it was zia who said about your constitution that it was a piece of paper and he could tear it in thousand pieces which he did. When Generals violate and disregard the Constitution then your rights are trampled and that is why you people could not stand up in the world community and call yourself law abiding country. It seems, might is right and anything goes in Pakistan. The most prudent way to deal with this General is to bring him before the court and let the law decide his fate and establish a precedence once for all that if Generals violate the constitution and take over the country with the barrel of gun then they will pay the price.If he gets away with it then anyone could get away with any crime if they have the money and power. I want you people to think about your future instead of getting involved in ethnic superiority. This was the man who raised his fist in Islamabad and said see who is in-charge in Karachi and now he is talking about unity. This was the man who cave in to Powell with one phone call and then gave away Shamsi and Jacobabad air force basis to Americans to kill your own innocent citizens in FATA by drones unless you think those people in tribal areas are not Pakistani citizens. Musharraf has come back to save Pakistan but seriously, he needs to save his own life from TTP, prepare himself to fight cases pending against him and debarring by Election Commission to stand in the coming elections. Even if he succeeds to cross all these hurdles, votes of the young voters shall be divided between his party and PTI which would give clear advantage to PMLN and to some extent PPP also which would mean that no single party would get clear majority in Pakistan. His coming back and joining the election fray is going to spoil the apple cart of many political parties in Pakistan. Well done General Sahib lage raho. moderator.– i failed to understand the reason of not posting my comments.. Is any comment on judiciary is unprintable in ET ? Musharraf is no better than the democratic set up we have. can someone enlighten me if toppling an elected government is a crime or not? Welcome back sir. As a neutral person I don’t focus on the rumors about any one. personally i respect those who deserve, and you deserve it. if people say that you were the reason of 40,000 dead’s in Pakistan then what about last 5 years? does any one count the number of blasts, fire shoot, target killings, smuggling etc… we shall count the integers positively, can’t any one see the shoot up of dollar from 35 to 100+ ??? wake up Pakistani’s as we all know that our military is always guided to serve the country. Pervaiz Musharraf was the head of Army so how could he be not patriotic? you are the only hope for removing sect-ism and Linguistic consequences. He is responsible for Zardari’s NRO. He imposed this govt on us. @Feroz: Yes the courts, the COAS and Nawaz Sharif – everyone in this sovereign land gets guidance from elsewhere. Musharaf will not be allowed to contest election . he is not eligible for it . Isn’t he the one who signed NRO and let our dear president Zardari and other corrupt politicians to participate in 2008 election? How funny it is now he want to safe Pakistan. How can you save Pakistan with golden cuffling and rolex watch…….?????? Fail! that is not the correct use of the word ‘irony’. A one time dictator returns to a bankrupt country wearing solid gold cufflinks and an expensive watch. Can a retired General from any country afford to live in most exclusive area in Dubai (Emirates Heights) and Edgware road in London unless involved in Massive corruption? Vultures are gathering again to plunder Pakistan. There is some unfinished work for Musharraf. He has to handover remaining terrorists? to US and had to dispose off all his properties to settle in UAE or SA. The Boss is Back…May God help him smash the enemies of Pakistan. I think he had his chance. He should try to save himself instead of saving Pakistan. Pakistan is ok without his efforts. Why in Pakistan political leaders imposes self exile when they are out of power & coming back home to fight election. Does it mean that if they win they will stay in Pakistan if not they will impose self exile & stay in Dubai, Riyadh, London etc?? How can people trust such leaders? Leaders should serve people/country if they are in power or in opposition. Democracy never wins just because elected govt. completes their term but it wins when ruling parties allows the opposition to work fearlessly among the people. Gen (R) . Pervaiz Musharraf had his time for about 9 years . Pakistanis do not seems to be very enthusiastic on his return . If Pakistanis , particularly hostile media would be forgiving enough to give Gen (R) . Musharraf a second chance ? The jury is out . We should hope and pray for his security and long life . Notwithstanding , a surprise and big win of Imran Khan on May 11 , 2013 , sadly most likely more of the same would continue in foreseeable future in Pakistan . The root cause of all Pakistan problems is back. May God keep us save from this curse this time. ameen. @Rahul: I agree with you wholeheartedly , if you read my comments, you will understand how I feel. Pakistanis has been subjugated for so long that they have no idea what democracy or freedom of thought or religion mean anymore. Welcome back Mr President. The boss is back. Lets see when commando gets into action? Cant help noticing gold cuff links worn by the man who will come to the rescue of poor Pakistani people. Where is the SC – CJ? Where is the suo motto action? Indeed he is not perfect but he is unbiased and sincear . 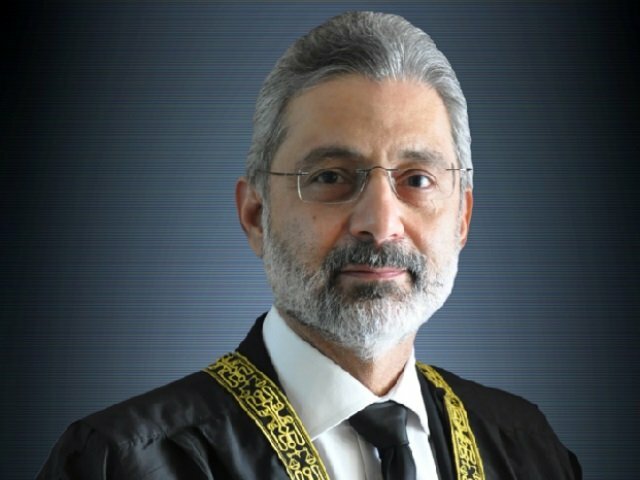 Decisions for which he is being lambasted here eg Bugti or Lal Masjid unfortunately those who are saying this would have done no different at all if they would have been in his place, now for the respected judges what dd they gave Pakistanis in last five years a big Zero nothing , even the CJ son scandal has been wiped out from the media. People have to open their eyes to understand that God doesn’t give ppl too many chance who are not sincere to themself he is back consider it a help from him. For those who are against him they will be to anyone who ever comes to power that’s the way they are. So don’t loose heart. @p r Sharma not when the govt is involved in crimes and is full of criminals. Then it is a duty to remove such filth, for the sake of the people and the country. Why is he displaying 3 tola (each) cuff links and Rolex gold watch to poor ‘Awam’? Will take him back in a heartbeat..The best well spoken and true leader regardless of the circumstances he was in…will support him all the way. After aligning with JI (party known for advocating violence esp during 1971 its banned in Bangladesh also) PTI has lost my vote. my vote is now for Musharraf! Pofessor, your emotions do not carry any neurons, your feelings are the expressions from your mind and heart and based on your own longings for the former country, which are understandable. You ignored, however, that Musharaf was born in Delhi, his real motherland is thereore India and not Pakistan. It was on his watch that Pakistan became the vassal of the foreign power and it was on his watch that Bibi was murdered in cold blood. And above all it was on his watch that the sanctity of the House of God was forcefully violated. There is no greater sin in Islam than violating the house of God! He is condemned for all times to come. The sooner the citizens of Pakistan come out of the twilight zone , the quicker they will be able to build the remaining of their county into a cohisive and strong regional power. Zardari has given his best, let others come foward and show their best. The country does not need a man from the military schools but a leader who is able to lead divided Nation. This the only man who can save Pakistan and us from the currupt politician. He seems always true person. we belive in him we are with him.